The Northpointe Animal Hospital team team of skilled veterinarians welcomes you to our practice. Proudly serving the Lynnwood area. At Northpointe Animal Hospital, it is our daily privilege to provide quality vet care to your cherished pet, with compassion and competence. We hope to ensure a positive impact on our patients, pet owners and the local community. Dr. Ben McLaughlin is a 2011 graduate of the Oklahoma State University College of Veterinary Medicine. Dr. Mac grew up in central Mexico and lived in New Jersey, Louisiana, and Oklahoma before moving to Washington. As a youth, he developed a passion for medicine after helping translate for American doctors who were providing medical services for low-income areas in Mexico. 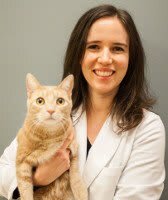 Dr. Mac loves the challenge of veterinary medicine and enjoys helping people keep their pets healthy. Some of Dr. Mac’s professional interests include internal medicine, surgery, pathology, and using veterinary medicine to help people around the globe. 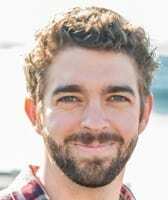 Dr. Mac’s personal interests include foreign languages (Habla Español), martial arts, outdoor activities, and spending time with his wife, Dr. Alicia McLaughlin, who is an exotic animal vet. Dr. Mac and his wife share their home with a giant schnauzer, a Kerry blue terrier, 2 parrots, 3 snakes, a collection of geckos, and a school of tropical fish. Originally born and raised in Taiwan, Dr. Michelle Wu came to the United States when she was in middle school. Dr. Wu has always been an animal lover since she was young and decided to pursue the career of a veterinarian when she was in high school. 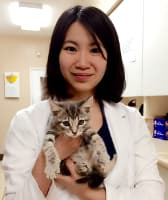 After completing her DVM degree at the Western University, Dr. Wu spent two and a half years working as a small animal general practice veterinarian in Southern California. While working, she developed special interests in small animal internal medicine, behavior, and preventative medicine. In her spare time, she likes swimming,, playing erhu (a 2-stringed Chinese musical instrument similar to violin), and trying out new restaurants in town with her husband. Being fluent in both English and Mandarin, she also enjoys reading and writing in both languages.